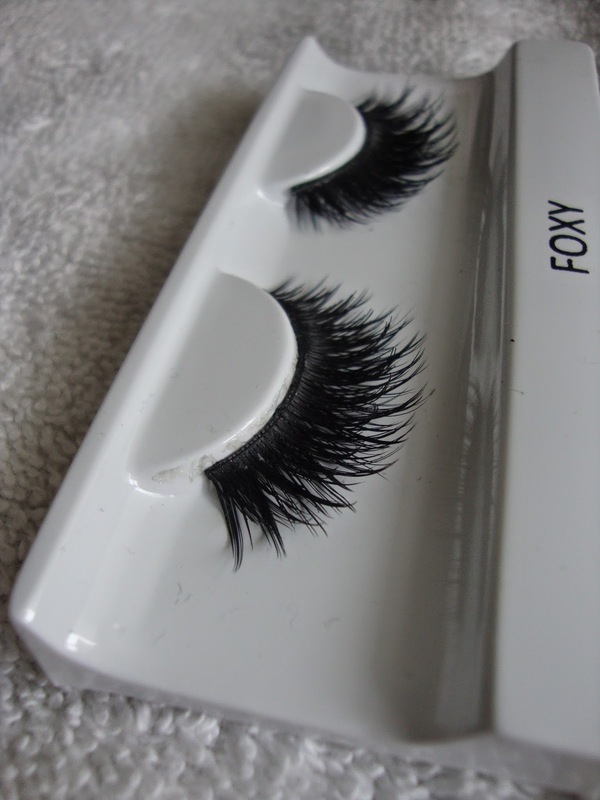 Today, I have a review of a pair of false lashes that I purchased off of Lady Moss during their Memorial Day sale. Why did I purchase these lashes? Well, I have been wanting to try House of Lashes but didn't want to pay their prices. 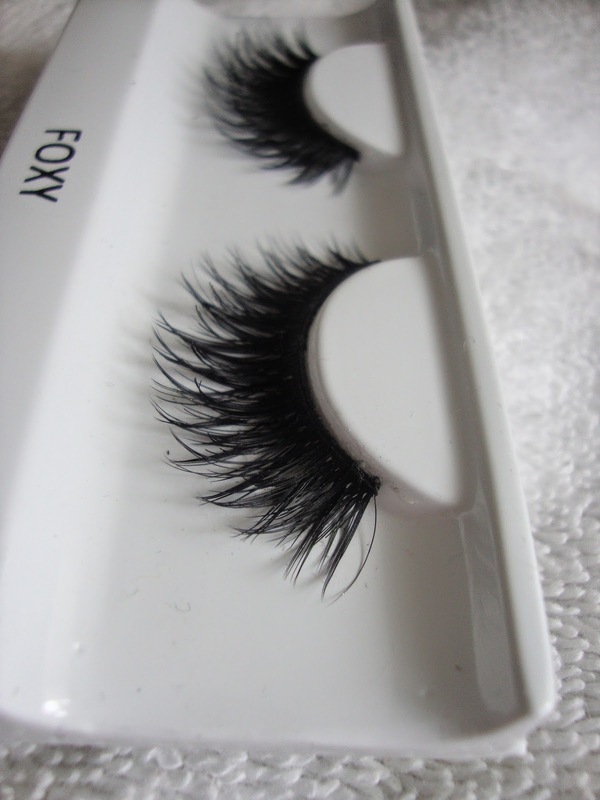 So, I stumbled upon these lashes just casually browsing the website and I really wanted to instabuy the lashes. I had enough willpower to wait until they had a sale, which thankfully wasn't too long. I purchased 5 styles of lashes in Foxy, Ariel, Iris, Risque, and Koko. I will be reviewing Foxy today. Simple and beautiful packaging. I love how girly it looks! Some of my boxes look kind of messed up near the openings but that's not a big deal since I bought the lashes online. The thing that bothers me is that the name of the lashes are on the plastic insert and not on the outside of the box. Post-sizing and cutting. Half a centimeter (about 1/6 an inch) was cut off. These lashes were fairly easy to apply. Since the lashes are fuller, they do have a thicker band so it is essential to wiggle/manipulate the band to make it more flexible. I waited a full minute before I applied the lashes (this is essential to do for thicker bands) and were easy to move around before I was satisfied with the placement. This is the extent of the wear on the outside, a stray hair. I also wore them a second time after taking these photos. They stayed in the same condition after wearing them a second time. I am pretty impressed. The quality of the hairs is on par with those of Eylure lashes. The hairs are light and feathery but not as soft as mink. I think for the price, they are great quality. I got these for $4.79 on sale but they are $6.99 retail price. For those wondering, these lashes are similar to House of Lashes Iconic but are slightly thicker and not as flared but are very, very similar (if not a dead on dupe) to the new House of Lashes Starlet. For the price difference, I think these lashes are a great, cheaper alternative for both styles!